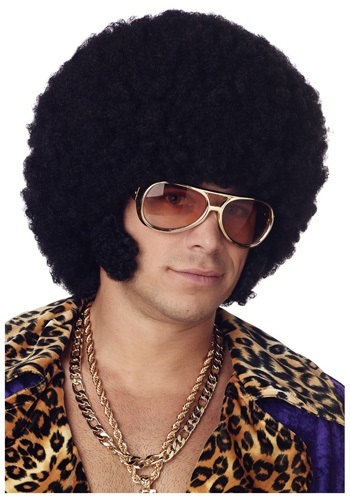 Afro Chops Wig By: California Costume Collection for the 2015 Costume season. Why live a life without an afro when you could be wearing this dashingly stud-tastic wig? Thick curly locks and some manly chops are just the kind of thing a man needs in his life.